Chandrakant Gurnule (35) had always been the prankster in his family. He would sneak up behind people and scare them, always had a wise crack at hand, entertained the kids. But, on 1st April 2006, he wasn’t kidding when he told his wife that he wanted to commit suicide. He had said it before. No one took him seriously. 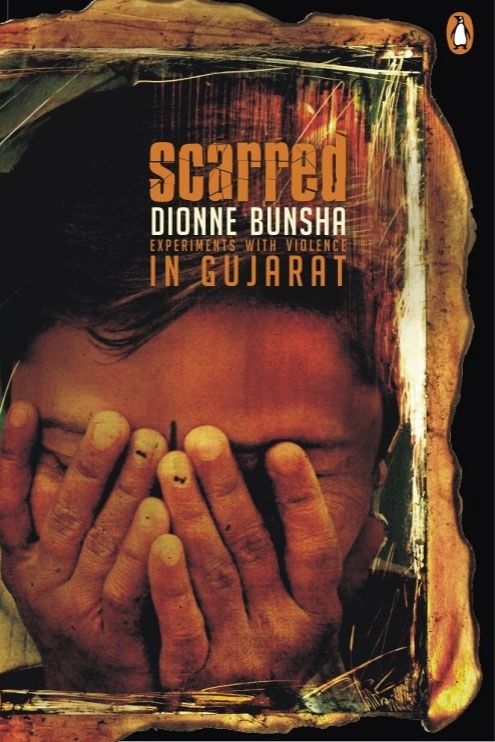 She laughed, “When are you going to do it?” That afternoon, Chandrakant doused himself with kerosene and lit a match. In flames, he ran out of the house where the kids were playing. They screamed for help. His brother Prahlad managed to put out the fire and took him to the hospital. But he died there of severe burn injuries. This was no April fool’s prank. 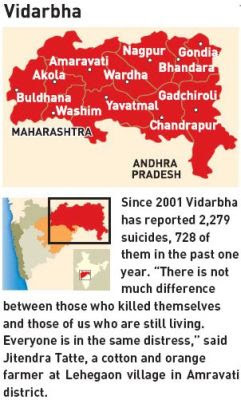 There have been 680 suicides up to August 2006 – more than three per day – in Vidarbh, the north-eastern and most neglected region of Maharashtra. The rich, black soil is ideal for cotton – once called ‘white gold’. For a decade, Vidarbh is experiencing a desperate farm crisis. Since 2001, there have been 2,279 suicides. Cotton is no longer profitable. In 1970, one quintal of cotton had the same value as 12 grams of gold. Now, it is a harvest of death. Vidarbh borders the cotton belt of Andhra Pradesh, where peasants’ suicides have also spiralled. The suicides are the most desperate sign of a much larger agrarian crisis. “There’s not much difference between those who killed themselves and those of us who are still living. Everyone is in the same distress,” said Jitendra Tatte, a cotton and orange farmer, with a huge farm of 60 acres in Lehegaon village, Amravati. Killing debt is just the consequence, not the cause of the farm crisis. The crux of Chandrakant’s problem was something beyond his control – high costs, low produce prices. The minimum support price for cotton (Rs 1,750) fetches less than one-fourth the cost of cultivation in Maharashtra. “In the last 10 years, the prices of farm inputs have risen dramatically. Urea was Rs 80 per bag, it’s now Rs 280. 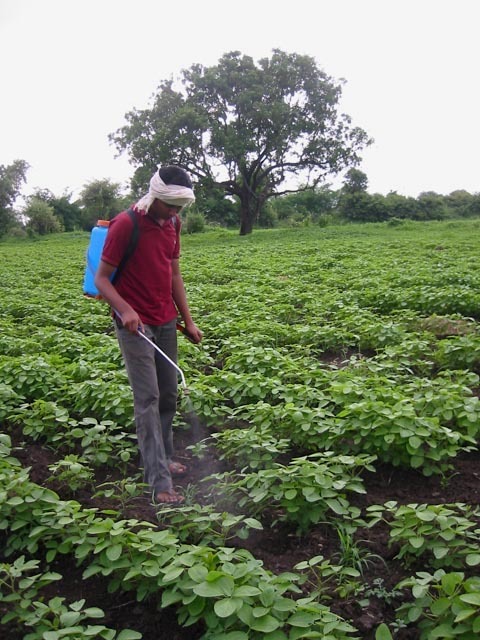 A bottle of pesticide was Rs 40, but now it’s Rs 240. But, the state government lowered the procurement price from 2,250 last year to Rs 1,750 per quintal. How can we survive?” asked Prahlad. So, why hasn’t the price kept up with costs? The international price of cotton lint fell from $ 1.10 per pound in 1994 to 38 cents in 1998. There was a gush of imports into India. “Between 1997 and 2003, we imported 110 lakh bales, more than the total volume of imports since Independence,” says Vijay Jawandhia, activist with the Shetkari Sanghatana. So, farmers found no market for their product. India doesn’t protect her farmers from imports. Cotton farmers are the least protected. The import tariff for cotton is only 10%, whereas it is 60% for sugar and 80% for paddy. International rules allow the government to increase the cotton tariff up to 150%, but it chooses not to. China has protected its farmers by imposing a 90% import tariff. Farmers in countries such as the US or China can sell at a low price because they receive direct subsidies. Our farmers cannot afford to sell at this artificially lower price and so keel over. For instance, in the US, it costs $1.70 (Rs 79.90) to produce one kg of cotton lint, but it is sold for $1.18 (Rs 55.46). To offset the losses, around 20,000 cotton farmers in the US get more than $4 billion in subsidies – approx. Rs one crore per farmer per year, according to the Centre for Science and Environment’s (CSE) report on the cotton industry. US farmers get a subsidy of $1 for every kg of cotton produced, roughly the rate of cotton in the world market. Our farmers get no subsidy. Vidarbh’s 30 lakh-odd cotton cultivators spend Rs 3,000 per quintal, but they get only Rs 1,750. If, like US or Chinese farmers, Chandrakant had been given a direct subsidy payment for every quintal of cotton he produced, he would not have had to pawn his jewellery or borrow from moneylenders at interest rates ranging from 60 to 120 per cent. He would have probably been alive today. If the Indian state can’t give a subsidy, at least it can protect farmers through tariffs. But it is not even willing to raise the import tariff. So, the textile industry can import raw cotton cheap, manufacture with cheap labour and export the finished cloth back. “We have become like slave labour for the export market,” says Jawandhia. “On the rare occasion that the retail price of tomatoes or tur dal goes up (like they did just before the monsoon), the media flash it on TV all day, and people in the cities complain. But they are quiet when the prices fall soon after. Do they bother to come here and talk to us then when prices crash and we are in a crisis?” asked Prahlad. If prices are low, can farmers try and reduce costs? Each year, prices of inputs go up. And the chemical-intensive method that farmers use depletes the fertility of the soil. So every year, there are more doses of fertilisers and pesticides needed. It’s a vicious cycle. Maharashtra has the highest area under cotton cultivation in the country, but the lowest yield. The cost of production is Rs 70 per kg – double national average, says the CSE report. The state is supposed to send extension workers to guide farmers on effective farming techniques. But extension officers are rarely seen in the fields. Farmers rely on advice from pesticide dealers, advertisements and each other. Until now the only technical advice has been from agriculture minister Sharad Pawar and film star Nana Patekar peddling Monsanto’s Bt cotton seeds. They are supposed to prevent attacks from boll worms, but not other pests. So, farmers still spray insecticide, and also spend more on Bt seeds. Of the 634 farmers who committed suicide in Vidarbh (from 1st Jan to 10th July 2006), 450 were cotton growers, and 314 of them had sowed Bt cotton last year, according to a survey done by the Vidarbh Janandolan Samiti. Several organic farming techniques have been scientifically proven to be effective. They have yielded the same, or better, output without spending much on pesticides and fertilisers. Organic pesticides, fertilisers and growth promoters can be prepared from plants and materials available locally. Only a few NGOs have bothered to promote organic farming. There’s no money to be made by advocating less spending. If cotton cultivation is unprofitable, why not shift to other crops? Farmers in Vidarbh (and most of India) still practice dryland farming – totally dependent on the monsoon. Besides cotton, farmers here grow mainly soyabean, wheat, coarse grains, tur dal, groundnut and oranges (in some areas). Vidarbh has only 10% under irrigation. “That leaves us with very few options. Besides, prices are low not only for cotton but for most other crops and vegetables. Whatever you choose, there are losses,” said Prahlad Gurnule. There isn’t enough water for fodder, so dairy, which could provide a regular income, is also not possible. “Earlier, when we grew jowar, there was a steady source of fodder. But, people have stopped jowar because it isn’t profitable, and neither is the dairy business. Now, there are distress sales of our only assets – cattle and land,” said Sanjay Tigaonkar, a farmer from Wardha. The Prime Minister arrived for a tour of Vidarbh on 1st July, and left with a pathetic Rs. 3,750-crore ‘package’ for Vidarbh’s 30 lakh farmers – one-fifth the cost of the Mumbai metro that he inaugurated a few weeks earlier. He announced an interest waiver on loans and fresh loans to be issued to defaulting farmers. This may offer temporary relief. But what happens at the end of the season when the farmer is left with no money to pay back the loan once again? And, what happens to farmer’s debts with moneylenders? When the state government suddenly arrested moneylenders in November 2005, farmers were in a financial crunch. Moneylenders are their main source of funds, since banks don’t lend enough. Moreover, it was found that Congress MLA Dilip Sananda and his family are moneylenders with 40 cases registered against them. The government hasn’t taken any action against them, only against the small fry. The PM promised Rs. 2,177 crore to complete 524 irrigation projects in these six districts over three years. Across the country 40 % of the cotton crop is irrigated, but in Vidarbh, only 3 % of the crop has irrigation. Irrigation schemes here have been incomplete for the last 20 years. One visit by the PM is unlikely to be the magic wand. One month after the PM left, there were 80 more suicides. Banks had not yet issued loans though sowing had begun a month before. Chief minister Vilasrao Deshmukh admitted that the state has not been able to curb the crisis. “We are doing our best, both the Centre and the State is doing what it can. It’s true the suicides are not reducing. Whatever help we are giving, we have not been able to solve the problem or fully control it. We are looking for suggestions,” he said. Several groups in Vidarbh have come forward with suggestions, but the government has ignored the root of the problem. Textiles are India’s second largest export. Yet, why are at least 3 cotton farmers like Chandrakant Gurnule killing themselves everyday, leaving behind a stunned widow and children? These disparities are growing as India globalizes. Its elite is enthralled in malls, while agricultural labourers earn just Rs 25 a day – less than a parking ticket. One metre of cloth sells for a minimum of Rs 50 per metre. The cotton lint needed to make it costs only Rs 6. It’s a cruel joke called ‘globalisation’.